I’m Becky, one of the Crafting Chicks! We love to share Ideas and Inspiration to help you Create Your Life! 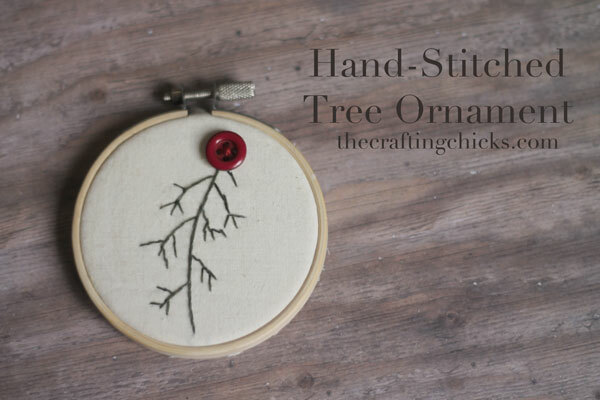 I’m so excited to share my quick and easy Hand-stitched Tree Ornament with you today. Years ago I was really into hand-sticthing. I loved it and have built up quiet the collection (thanks mom!). I’ve started seeing these little hoop ornaments around Pinterest and I wanted to give it a shot. I am so in love with the look and feel like you can do just about anything you want to make these ornaments your own. 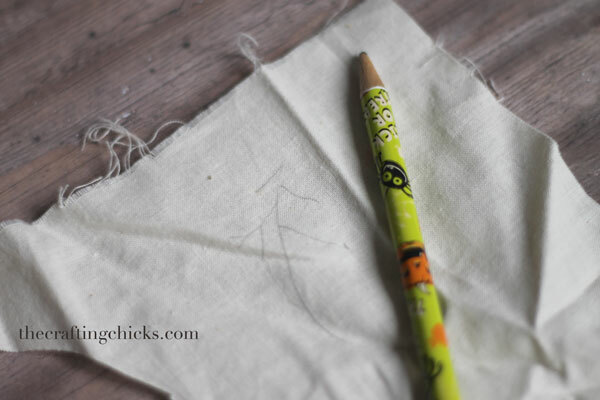 Begin by drawing out your design on your fabric. I just eyeballed what I wanted and free handed it. I promise if I can do it you can too. Just make the tree what you want. 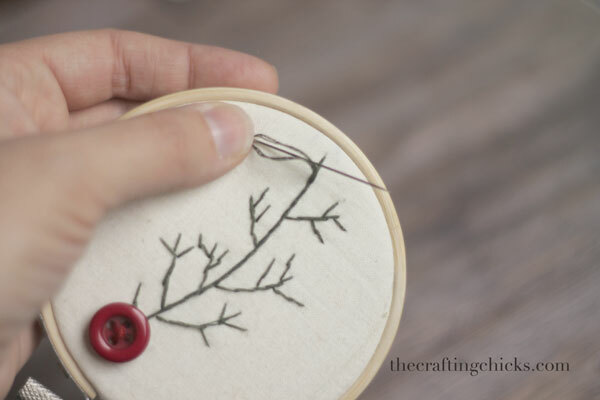 Place your hoop on the fabric and just start stitching. I used a backstitch for this one. Grab your button and sew that on top too. You are done. You can readjust your fabric in the hoop if needed. Then you just add some string and you have an adorable new ornament for your Christmas tree. This would also make a great gift idea. These work up quickly and are really inexpensive. 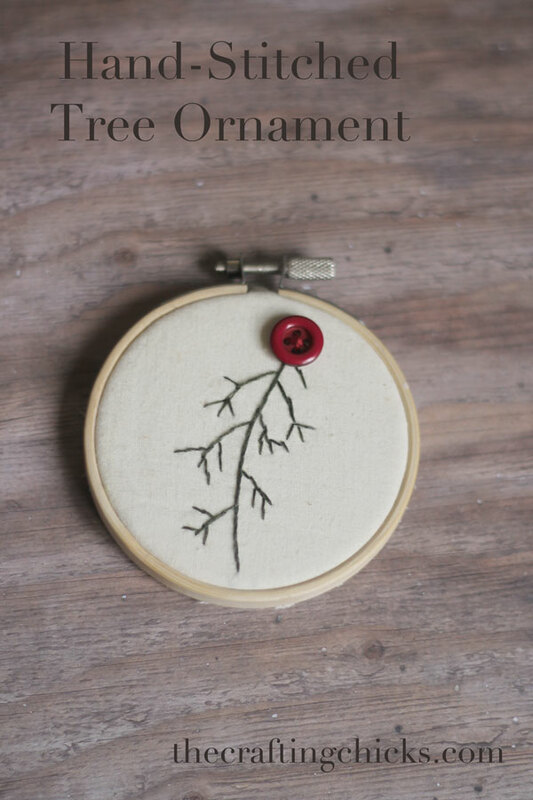 A gal after my own heart…I have a major thing for stitching lately and your ornament is beautiful Becky! Thanks for sharing!